“Jesus answered, ‘Everyone who drinks this water will be thirsty again, but whoever drinks the water I give him will never thirst. Last year, we had a very snow-intensive season. It snowed constantly, and it seemed as if spring would never come. On the shadow sides of the hills, the snow remained for a long time, and even if the snow melted, it left a tell-tale mark of its presence: pools of water and very muddy soil. The rivulets ran by our house and I could hear the water rushing under a copse of trees as they grew over the stream that nourished them, shading it from view. 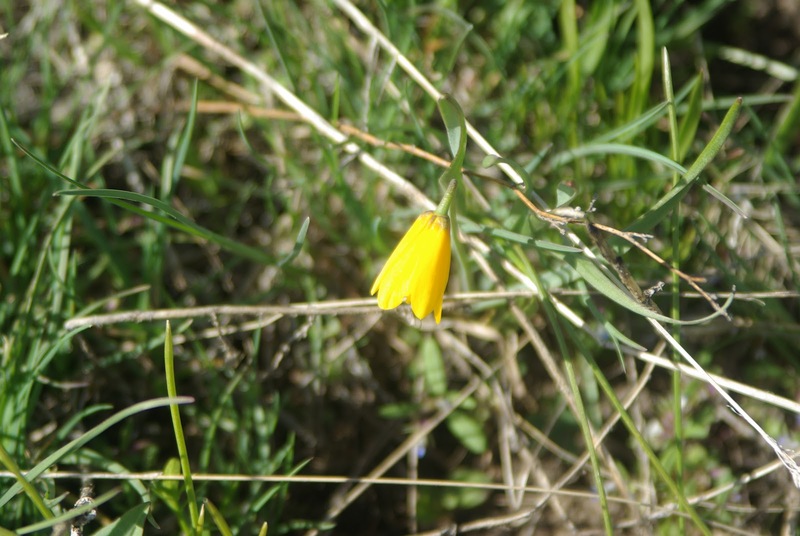 The soil was dark brown with moisture, and small yellow bell-shaped flowers sprung up in the moist mud. 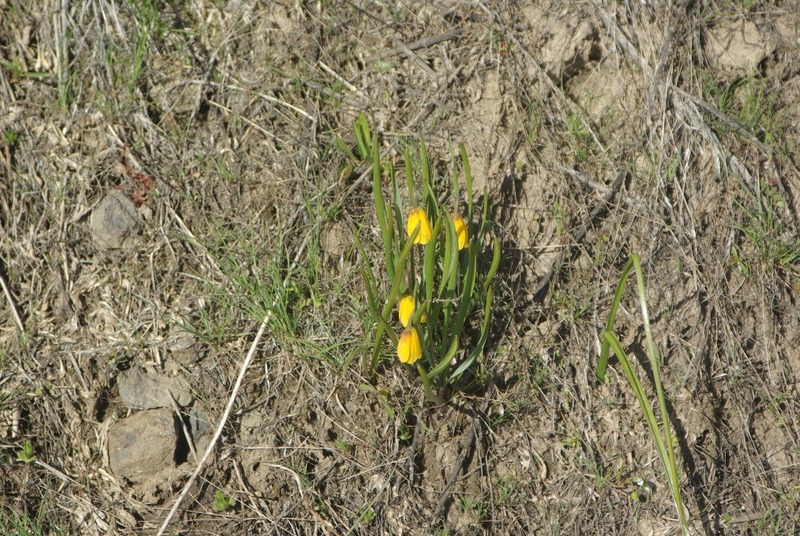 This so caught my attention, that I decided to chronicle, with my camera, all of the wonderful wild flowers that were to grow as the spring came on. 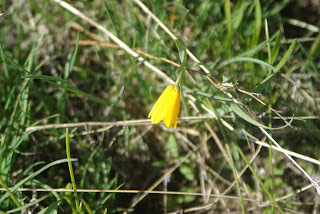 I learned several lessons about life through hunting wildflowers and from how and when they grow. 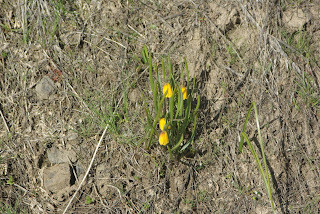 Soil needs warmth and moisture to bring up the greatest abundance of wildflowers: This year, in contrast, produced a lot less snow, so the ground is not nearly as moist, and the wildflowers are much less. Moisture is critical because it allows not only water to enter the plant, but allows the nutrients in the soil to pass into the plant as well. Without fresh, abundant water, our plant life quickly dries up; however, last year, with so much snow, my hillsides were as green as I ever seen them. But water alone isn’t enough. This year we are having very cool days, unlike last spring, when the sun shone brightly day after day. The warmth stimulates growth in a plant, allowing it to make food and sustain growth. So, to optimize growth, you need warmth and water, and it is no less true in the Christian life: you need stand in the Son, learning from His Word, and drink deeply, for He calls Himself “Living Water.” The world will leave us thirsty, just as the women in Jesus’ time had to fetch water from the well every day, for if it stood too long in a storage jar, it would become undrinkable. The water needs to be refreshed, otherwise it becomes stagnant. Camas flowers are wonderful: they love the water beneath them in the spring. 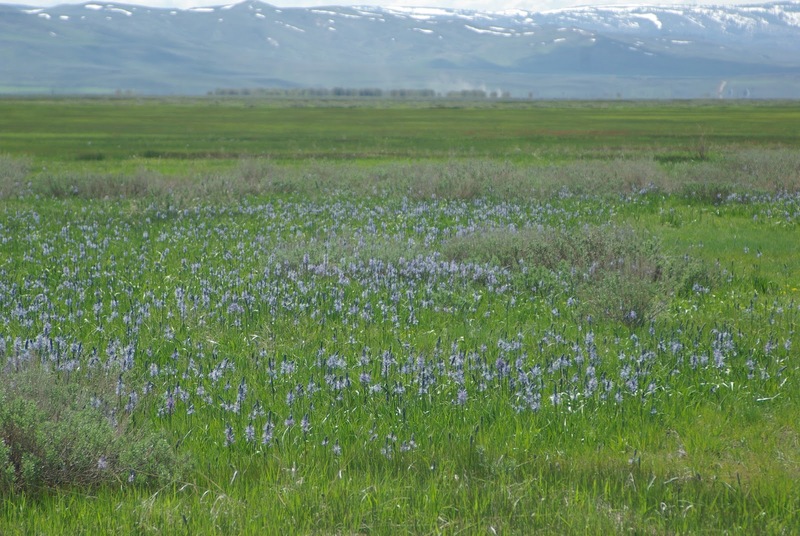 In fact, Lewis and Clark thought they were, at first, looking at a lake when they saw the camas flowers in bloom--the azure blue flowers filled the valleys. 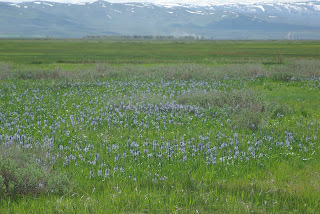 But once the wonderful spring water goes, so too, does the camas. Prayer: Dear Lord: I do want abundance in my walk with You: but I often settle for a few flowers here and there. I am many times on the verge of drying out. Let me stand in the warmth of Your Presence and in the rain of your Word: falling on me each day to refresh me and giving me strength, with one idea and one idea alone—to grow in You. In the Name of the One Who is the very Living Water for my soul, amen.